Who Can Translate My Documents Into English For Me? Home: Translation Tips: Who Can Translate My Documents Into English For Me? These days, despite the fact there is a greater movement of people around the world than has ever been seen before, it doesn’t mean that documents such as passports, birth certificates and marriage certificates are in the language of the country you intend to visit or reside. If you are seeking permission to work or even apply for permanent residency you will be asked to provide the relevant documentation in English, otherwise your application may be delayed even denied. In most cases you will need to hire a translator who has experience in translating the types of documents you want translated. It’s not sensible to choose the cheapest translator, as if there are any faults found in the translation, it might be rejected. If you are going to Australia to work, Border Force, the agency responsible for immigration, will only accept translations into English that have been completed by a translator or translation services that has been approved to conduct translations. Your local Australian embassy or consulate keeps a list of approved translators, one of which you must use. The mission will certify the translation so it can be used with future passport applications, wherever they are lodged. If you are getting your documents translated in Australia because you are already in the country at the time of your application, you are required to get your translations into English completed by a NAATI accredited translator . NAATI is the official body in Australia that oversees the quality of translation services by conducting courses and examinations for translators. 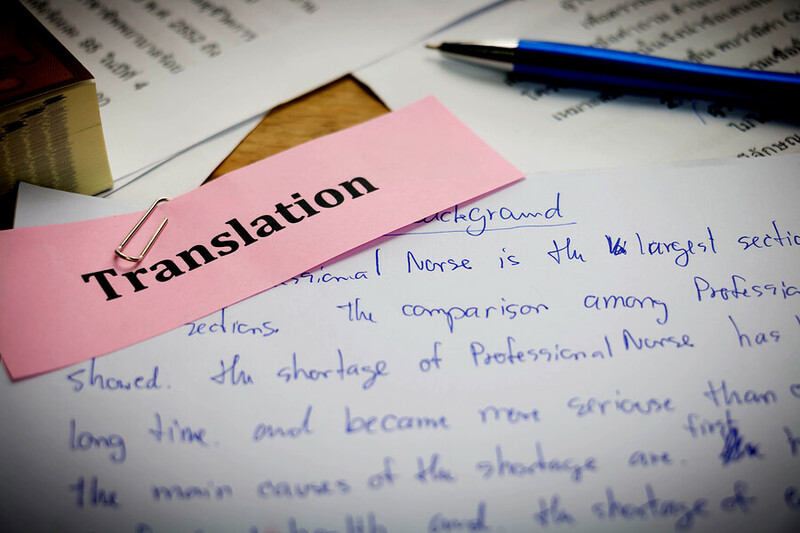 An accredited NAATI translator can usually do a good job translating a document. The Department of Home Affairs also offers translating services into English for a fee. In New South Wales, the Community Relations Commission (CRC) for a Multicultural NSW has a team of NAATI accredited translators on its payroll. Translations that are placed on CRC letterhead which have been certified as exact translations of the document(s), and include the translator’s ID number, are acceptable. Translating documents into English in the U.S. isn’t quite so difficult as Australia as you can choose any translator to complete the task. If the receiver is a government body the translator must write out his or her own certification and sign it to say the translation is accurate.